Partly cloudy this evening, then becoming cloudy after midnight. Low 44F. Winds N at 5 to 10 mph.. Partly cloudy this evening, then becoming cloudy after midnight. Low 44F. Winds N at 5 to 10 mph. 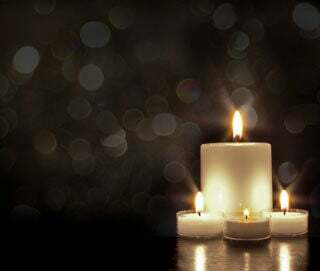 Leo E. Karge, 66, of Dushore, died on Tuesday, April 9, 2019, at his home. Born on May 12, 1952, in Dushore, he was a son of the late Ralph J. and Geraldine L. (Crawford) Karge. Leo was a graduate of Sullivan County High School, class of 1972. He was formerly employed at the Dushore Agway and with the Wyalusing Sale Barn for more than 40 years. Leo also hauled cattle for many of the local farmers and worked his family farm his entire life. He was a member of Zion Lutheran Church, Dushore, the Colley Grange and the Eastern Milk Producers. In his free time, Leo enjoyed hunting, fishing, and doing word search puzzles. Surviving are: a daughter, Kimberly S. Scott of Marianna, Fla.; three sisters, Nina L. Karge of Dushore, Vera E. Karge of Dushore and Lena I. Karge of Montgomery; a brother, Ronald K. Karge of Nanticoke; and a grandson, Noah Scott. In addition to his parents, Leo was preceded in death by three sisters Rita M. Gilbert, Anita W. Karge and Linda L. McDonald and four brothers, Alvin G. Karge, Cleon W. Karge, Melvin K. Karge and Ivan B. Karge. Funeral services will be held at 11 a.m. on Tuesday, April 16, at McCarty-Thomas Funeral Home, 119 Carpenter St., Dushore, with Pastor Ron Dyer officiating. Burial will be held privately at the convenience of the family. Friends may call from 10 to 11 a.m. on Tuesday at the funeral home. The family will provide the flowers and suggests memorial contributions be made to Peace Cemetery, c/o Nina Karge, 1064 Churchill St., Dushore, PA 18614.